LOCKPORT -- Niagara County has been awarded a $6 million grant from The NYS Division of Homeland Security and Emergency Services, Office of Interoperable and Emergency Communications. The award is from the 2018 SICG-Targeted Program, which is being distributed based on an analysis of data related to the implementation of National Interoperability Channels in New York. The SICG-Targeted Program focuses on closing gaps in National Interoperability channels implementation and enhancing regional alliance, ensuring that county communication systems are capable to support multijurisdictional response. The SICG-Targeted Program provides a way forward for ensuring a safer environment for public safety personnel, integration with other emergent technologies, and the ability to establish technology and performance standards. The grant will upgrade the infrastructure at three existing tower sites and will also provide for three additional towers in Niagara County. It is anticipated that the project will begin immediately, with system engineering, vendor proposals and preliminary site identification already started. Construction will begin as soon as those preliminary steps are completed and a contract is awarded. 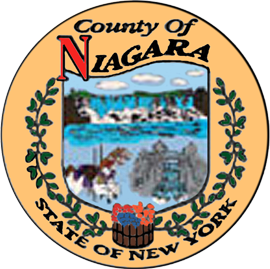 The interoperability of the Niagara County system will allow for communication between out of area responding agencies and the Niagara County Dispatch Center and local first responders, in the event of an emergency in Niagara County. In addition, the funding will improve the existing land mobile radio system in Niagara County for local police and fire services, providing enhanced coverage for larger buildings such as schools and retail locations.